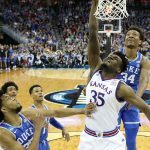 As we get closer to the beginning of March, conference races are heating up all around college basketball. Middle of the pack teams are trying to secure big wins that help them get into the NCAA Tournament field as well. This weekend offers a ton of great games, but we have picked out the four biggest and best games. Let’s take a look at these four matchups with a betting pick and prediction for each game. Virginia will travel to Kentucky to take on the Louisville Cardinals on Saturday afternoon. This is the first of two meetings between the ACC heavyweights this season, and this should be a terrific game. Virginia is the top defensive team in the country, allowing just 54.6 points per game. 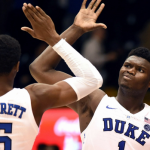 The Cavaliers are 23-0 against every other team besides Duke this season, and they are a legit Final Four contender. Virginia still struggles to score, but they have plenty of experience in Kyle Guy and Ty Jerome. Louisville is averaging 77.4 points per game this season, but they have some work to do on defense. 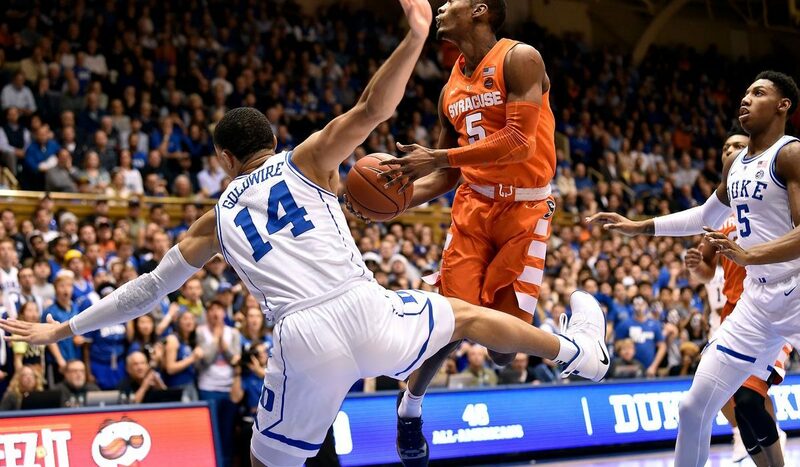 The Cardinals very nearly pulled off a massive upset against Duke a week ago, but it turned into an epic collapse. Jordan Nwora leads the team with 17.5 points and 7.7 rebounds per game, but he needs some help. Louisville is tough to beat at home, but Virginia is tough to beat anywhere. Bet the Virginia Cavaliers over the Louisville Cardinals. LSU and Tennessee begin this week with identical 11-1 records in SEC play, and this game will likely decide the regular season champion. LSU has won four straight conference games, including an upset win over Kentucky at Rupp Arena. Tennessee was just blown out by those same Wildcats last weekend, and lost for just the second time this season. 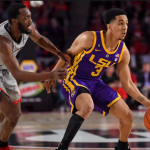 LSU is led in scoring by Tremont Waters at 15.9 points per game, and they have three other players averaging double figures. The Tigers play extremely fast, but they have some work to do on the defensive end of the floor. 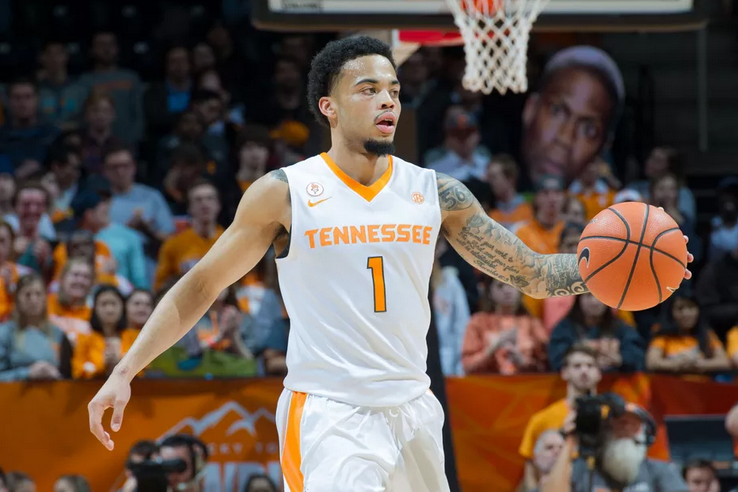 Tennessee is one of the most experienced teams in the country, and have four guards who are all averaging double-figures. 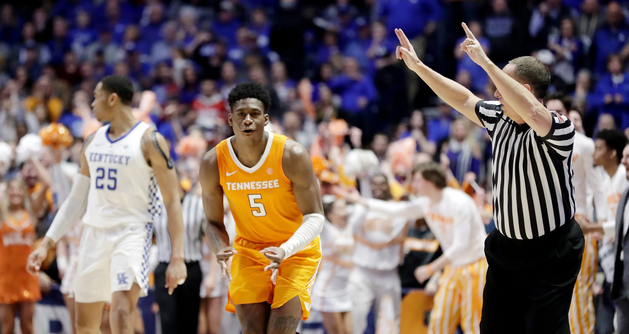 Admiral Schofield is one of the best perimeter players in the country, while forward Grant Williams leads the team with 19.3 points per game. LSU is playing with a ton of confidence right now, but the loss to Kentucky will wake Tennessee up. The Volunteers will rebound with a great road win at LSU on Saturday. Bet Tennessee over LSU in this game. The Kansas State loss to Iowa State over the weekend allowed Texas Tech and Kansas to get right back into Big 12 contention. Both Texas Tech and Kansas come into the week with a 9-4 record in conference play and are just one game behind Kansas State. Kansas and Texas Tech met earlier this season, and the Jayhawks came away with a 16 point victory, but things have changed since that point. Kansas is without their best shooter, Lagerald Vick, who is taking a leave of absence from the team. The Jayhawks have managed to win three straight games, but they still struggle to score points. Dedric Lawson has been the one constant for Kansas this season, leading the Jayhawks with 19.2 points and 10.3 rebounds per game. Texas Tech is the second best team in the country this season, allowing just over 57 points per game. The Red Raiders are led on offense by Jarrett Culver, who is a future NBA star. This will likely be a low-scoring affair, and the Red Raiders will get revenge at home. Bet Texas Tech over Kansas in this game. First place in the Big Ten Conference will be on the line on Sunday afternoon when in-state rivals meet up. This is the first of two meetings between Michigan and Michigan State in the final four games of the regular season. 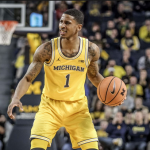 Michigan is allowing just 57.6 points per game this season and will look to slow down the pace against Michigan State. The Spartans are averaging 80.6 points per game, and push the basketball every chance they get. Michigan State has looked like a Final Four contender at times this season, but they will be without two stars for this game. Joshua Langford was lost for the season earlier this month, and center Nick Ward is out with a broken hand. Cassius Winston is averaging 18.5 points per game this season, but the Spartans are just too banged up to win this game. Michigan has a ton of experience, and they aren’t losing this game at home. Bet the Michigan Wolverines over the Michigan Spartans on Sunday.